Under s44 of the Crimes (Sentencing Procedure) Act 1999, prior to sentencing a person to a jail term of more than 6 months, a ‘non-parole period’ must be set by the court unless there are sufficient reasons not to set one at all. The ‘non-parole period’ is the minimum length of time a person is required to spend in jail before being eligible to apply to get out of jail on parole. After this ‘non-parole period’ is set, the remainder of the sentence must not exceed one-third of the ‘non-parole period’ unless the court decides that there are ‘special circumstances’. If special circumstances are found, the court can set a non-parole period that is lower in proportion to the overall sentence. This basically means that a person is likely to spend less time in prison if special circumstances are found to exist. So how do we know whether ‘special circumstances’ exist? The primary consideration in determining whether special circumstances exist is the length of the minimum period of actual imprisonment. This will include the full range of issues that are relevant to that period. However, there are a number of other considerations which may be relevant. 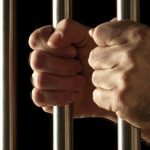 The length of the parole period can be something that is taken into account – in particular, whether the court sees some benefit in imposing a longer parole period. Illness or disability may amount to special circumstances. In making such a finding, a number of other factors must be taken into account, including the seriousness of the offence, whether the illness or disability existed at the time the offence was committed and the need for the community to be protected from the person who is sentenced. 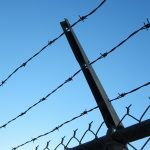 Another potential consideration in determining whether special circumstances exist is whether the person will have to serve his or her prison sentence in protection. Generally, this will be taken into account when the total sentence is being calculated. Because of this, a judge will be need explain why it is also being used in support of a finding that special circumstances exist. 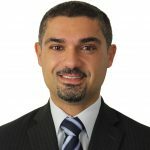 Special circumstances may also exist where the person has recently served a lengthy jail term and was released shortly before committing the new offence. It should be noted that even if there is a circumstance that is capable of being a special circumstance, the court is not required to state that special circumstances exist. There must be some sufficiently special circumstance to justify a change in the sentence. 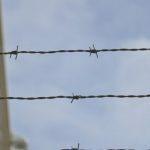 Significantly, a court is not required to reduce the non-parole period where general deterrence is especially required even if there is a special circumstance. Also, special circumstances do not necessarily exist just because the person is young, with no prior criminal record and serving their first jail term. 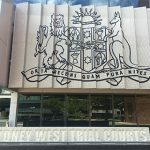 Importantly, special circumstances won’t be found to assist rehabilitation of an offender unless it can be shown that a longer than usual parole period is likely to make the rehabilitation successful. Another significant point is that just because special circumstances have been found in a certain factual situation, it doesn’t necessarily follow special circumstances must be found in a similar factual situation. 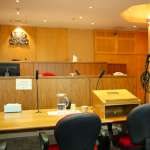 Overall, special circumstances are not a clear-cut area of the law and are largely dependant on the nature and context of the particular case and the subjective features of the person being sentenced. They are judged on a case-by-case basis and there appears to be quite a lot of room for inconsistency. However, a finding of ‘special circumstances’ can make a huge difference to a person’s life because it will mean that they can apply to get out of jail sooner. It is therefore important for criminal lawyers to identify ‘special circumstances’ and point them out to the court if the case is so serious that there is a significant prospect of a full-time prison sentence.